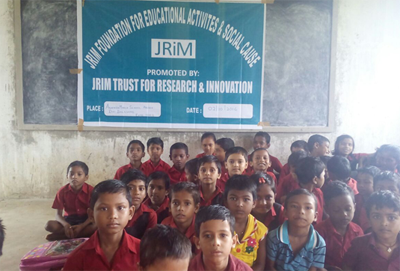 JRIM Foundation promoted by JRIM Trust for Research and Innovation with a vision to carry out academic and social service pursuits. Staying competitive in the business world means getting new skills and knowledge on a continuing basis. JRIM Foundation is the recognized platform for knowledge enhancement across managerial and research space-and becoming a JRIM Foundation Member is a great way to associate with this elite foundation as one among the few premium stakeholders. JRIM Foundation Membership plans offer you a wide range of exclusive benefits, including preferred pricing (at least 10% off all JRIM seminars for most plans) and up-to-date management and business information to help you keep your professional development ongoing and promotemanagement excellence for all. JRIM Foundation members benefit from event discounts and free JRIM quarterly Journal. Members can get involved – either by joining one of our committees or working groups or taking part in one of our many academic as well as social service events. Members will get 10% discount on every conference registration and publication fee. 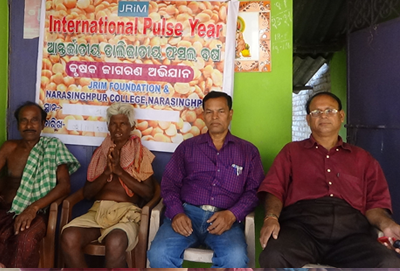 Though JRIM is exclusively into Research and Publication; but we are equally ambitious to contribute in the social upliftment process. Promoting social equity is our extended vision. 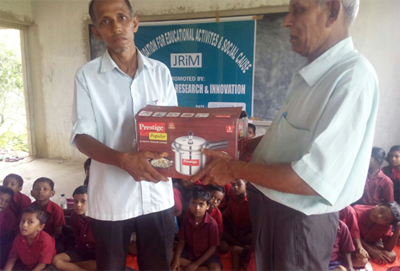 On the auspicious occasion of Gandhi Jayanti 2016, on behalf of JRIM Foundation for Education Activities and Social Cause promoted by JRIM Trust for Research and Innovation, the Authorized Trustee Mr. Jitendra Mohan Jena handed over some useful cooking utensils to the Management Representative of Ananda Marga School , Akinia , Sadar Block Balasore as a Gesture of Noble Cause for Society. 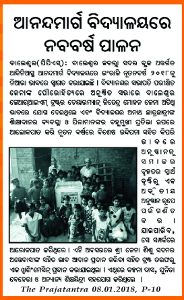 The Authorized Trustee wish the great success of the said Educational Institution working to impart teaching to Orphan Children without any support of Govt Aid. 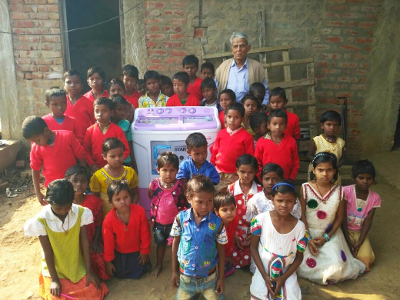 On the occasion of the New Year Celebration the Hon'ble Trustee of JRIM TRUST FOR RESEARCH AND INNOVATION Mr.Jitendra Mohan Jena donated a washing machine to Ananda Marg School , Akinia under Sadar Block , Balasore for better cleanness as gesture of noble cause for the said school. The JRIM TRUST FOR RESEARCH AND INNOVATION aims to provide a platform for knowledge sharing among diverse academic, corporate , and research mind across the globe. 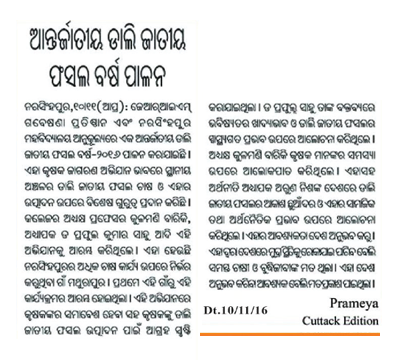 Its Registered Office is at Balasore and Head Office is at BBSR. More information can obtained from their website www.jrim.net . Although JRIM TRUST FOR RESEARCH AND INNOVATION apparently aims at Research Publications but also promotes Social Welfare too. 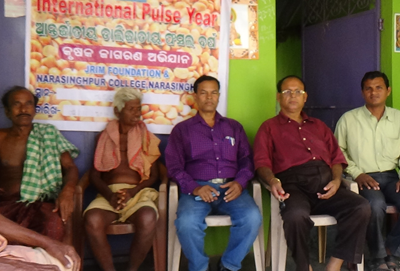 The trust has organised various social and developmental works for the benefit of public for noble cause. 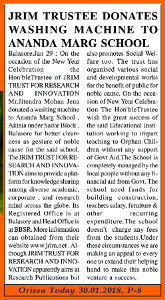 On the occasion of New Year Celebration The Hon'bleTrustee wish the great success of the said Educational Institution working to impart teaching to Orphan Children without any support of Govt Aid.The School is completely managed by the local people without any financial aid from Govt. 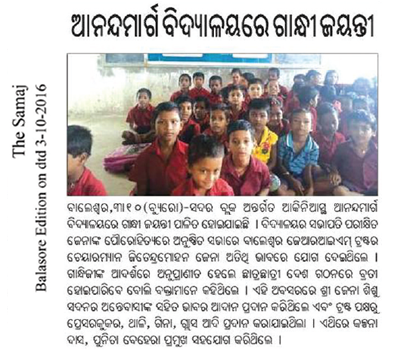 The school need funds for building construction, teachers salary, furniture & other recurring expenditure.The school doesn't charge any fees from the students.